The Our Common Bond campaign has reached an exciting milestone, recently surpassing 70 percent of the goal, with construction on the capital projects progressing on schedule. We are pleased to provide you with an update on the remaining new and renovated facilities, scheduled to open this August. 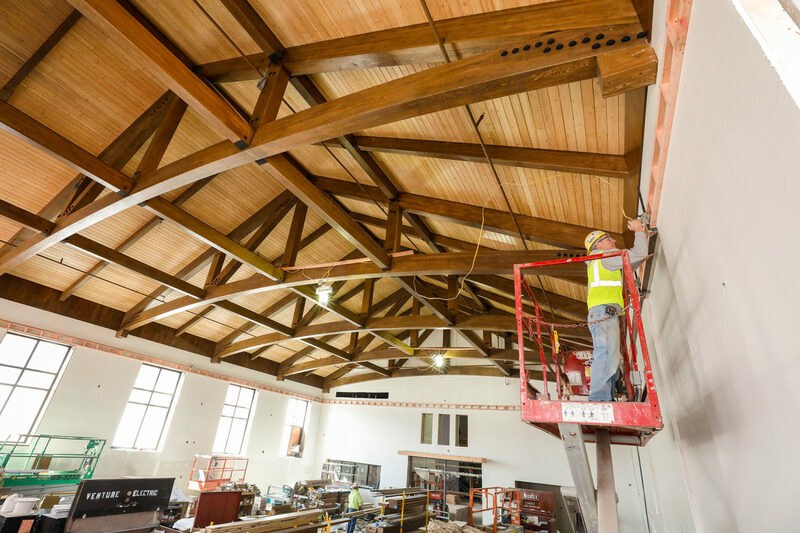 The defining feature of the Jack Olson ’67 Commons, six Douglas Fir trusses that span the width of the room, have been installed and stained. 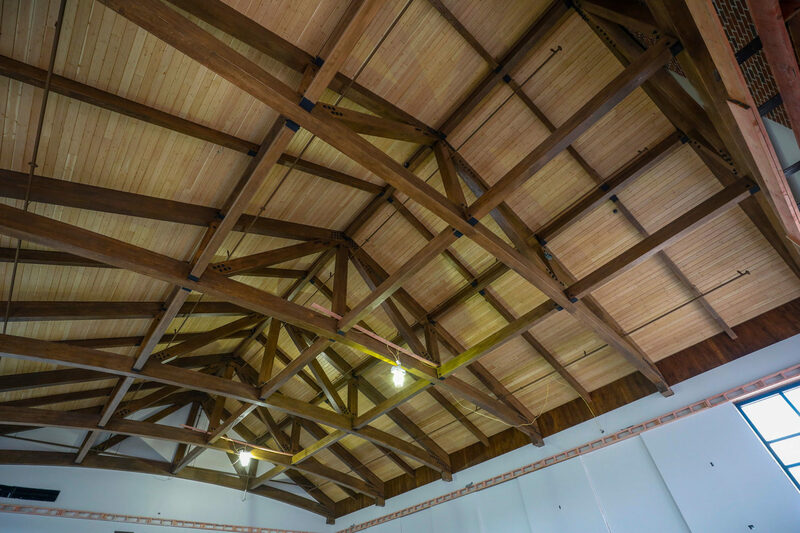 The wood-plank ceiling, now complete, was left with a natural finish and clear-coated to contrast with the dark trusses. Drywall and window installation are complete, painting and flooring installation are next, and the tile surrounding the fireplace is due to be completed soon. 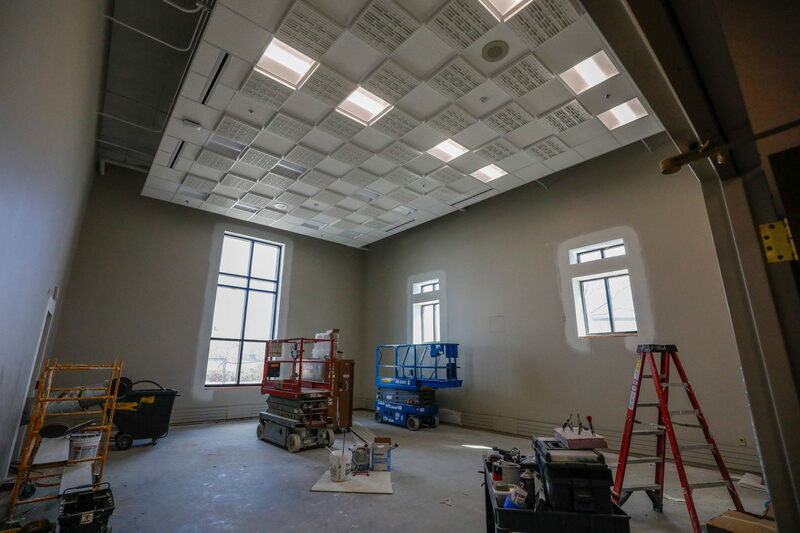 When finished, the room’s round tables will provide seating for up to 250 people and will be a main hub where Upper School students, faculty, and the wider USM community will gather. 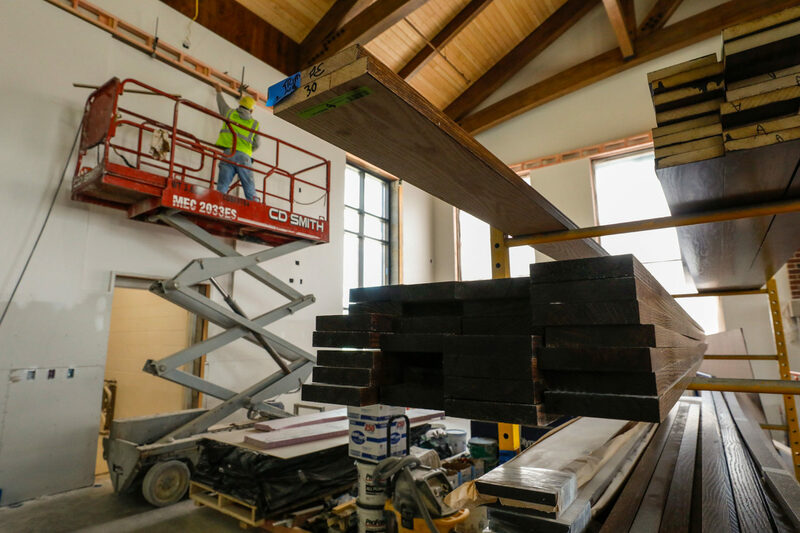 Construction on the new servery, Palermo Hall (to be located in the space that houses the existing Upper School dining hall), begins promptly on May 21, following Commencement. 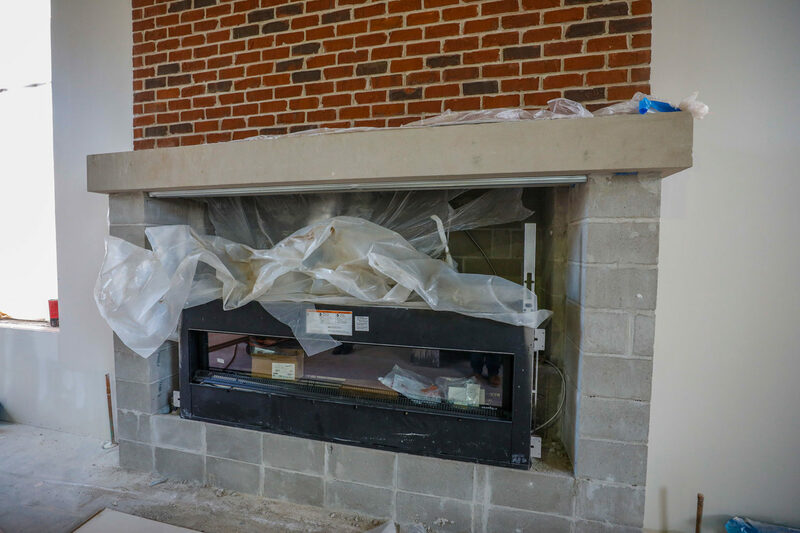 We are seeing progress on the Hauske Family Lobby, which connects the Olson Commons and Palermo Hall. 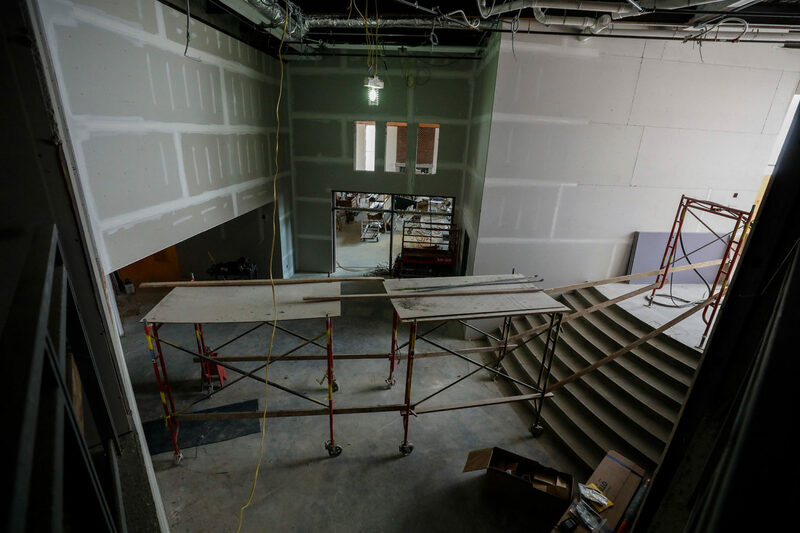 In the Virginia Henes Young Theatre, workers have installed 80 new seats (bringing the total to 493) in two new wings, and additional acoustic clouds in the ceiling. Since the soft opening in March, students have used the space for select events including the Upper School musical “A Chorus Line.” New carpet, furniture, and LED lights have been added to the Hammes Family Lobby, along with two mobile concession carts. 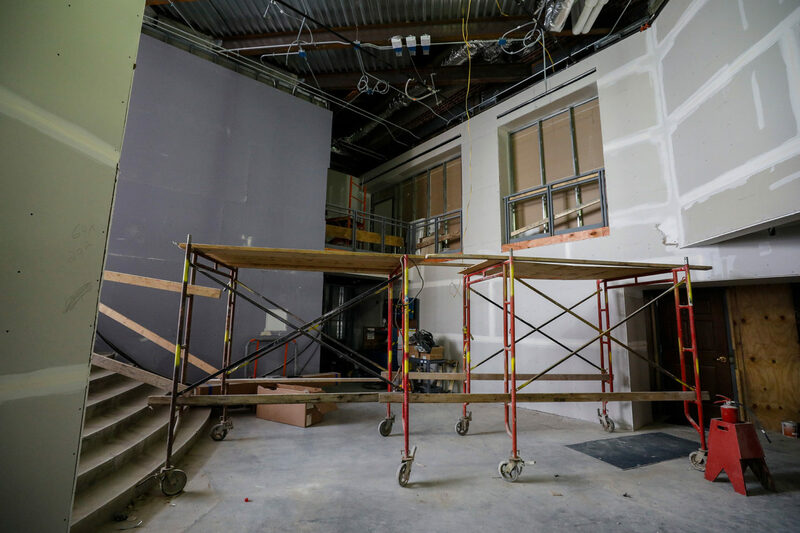 The art gallery, to be named by the Werner family, features walls designed to accommodate rotating exhibits of 2-D and 3-D artwork, and is nearing completion. 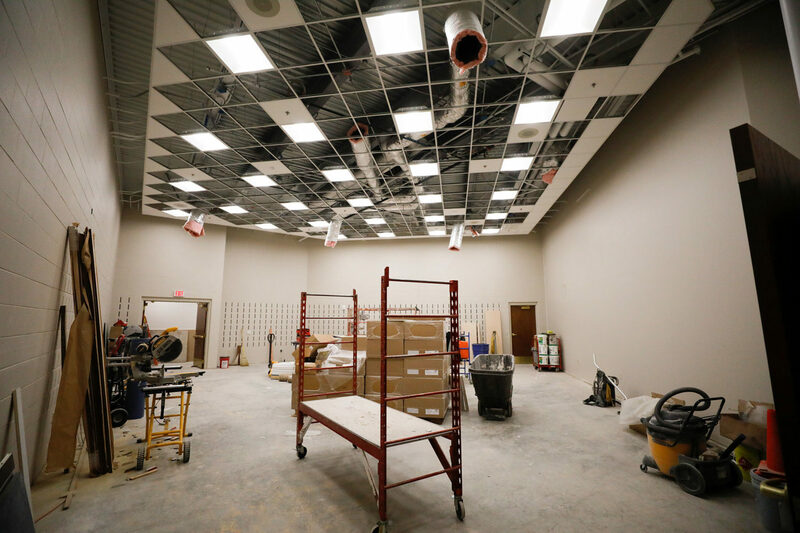 Within the Performing Arts Center and adjacent to the Quadracci Lobby are the orchestra room, which will be named by the Stratton family, and the Sardas-Trevorrow Band Room (see next page). 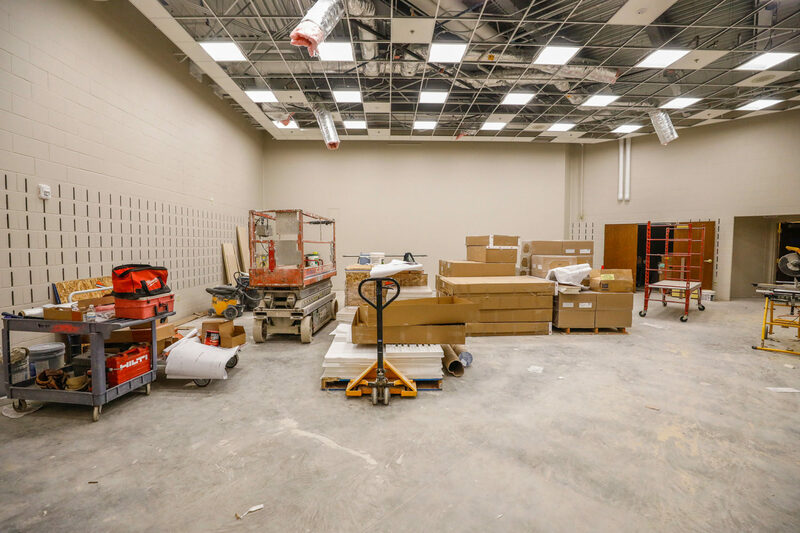 It is exciting to witness the progress on the additions to the performing arts center, including acoustic treatment for the music rooms; conveniently located and spacious dressing rooms; and ample storage for the musical instruments—all advancing USM’s arts programming.